Reasons Why the Business You Run Must Have a Google Page ! | Seoinch web partners - SEO & Web Design Service. Reasons Why the Business You Run Must Have a Google Page ! Google has started a page to be used by businesses to market their products. The Google+ pages have a network that comprises several million members. The tool is engineered for marketing success and given the number of members, there is adequate proof that it is worth having a Google+ page for your business. These pages were not accessible to everybody from the onset, but to a specific group of people. Recently it is becoming available to all prospective users. At that, businesses should take advantage of the opportunity and use it to grow their businesses. A number of advanced features will be at your disposal when you use this social network. Three of the amazing features are Google Local Search, Authorship and Google Hangouts. Investing in this page will ensure an increased visibility of your business page in the local searches. Unfortunately, most people view the Google as just a social site, which very few people use. With every single day, the advantages that set SEO apart are diminishing. Google+ is increasingly becoming popular and effective even though it is a social network. Search Engine Optimization plays the role of making your website rank higher. However, not al the posts on the site may be as great. Google+ search is capable of allocating each post a unique URL, such that individual posts can rank separately and probably higher even when the website itself is not. Optimizing the content thus has a vital advantage attached to it. 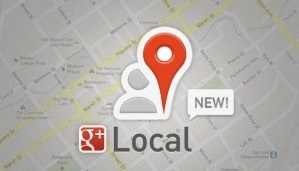 As a recent feature, most searches on Google+ display the ‘Local Carousel’. In this formation, the results are presented as dictated by a list of essential keywords. The feature has influenced the internet traffic flow to several websites. As opposed to the outcome of organic searches, the dominant determinant in the ranking on Google+ is the number of +1s on a site. When a site has several reviews of good quality, it has higher chances of inclusion and ranking on Google+. The photos (inclusive of user uploaded) and review furnish the appearance of the Google business page when found by the Carousel. For a Google page to appear in the Carousel, about four reviews are needed. You can connect your Google+ Page or personal profile to a website so that you have greater visibility to the search engine. This is done using Authorship and Publisher markup. Your headshots and Google Page stats will now show in the google search engine results page. Your brand gets exposed built and popular in such instances. Google Publisher creates a link between your Google+ profile and your website. Prospective customers who search the name of your brand will access a graph that contains information about your business. Besides, the Publisher goes miles to display your visual branding, show the number of followers that you have currently on Google+, the available product reviews and the recent posts on Google+. This makes a great boost for your page ranking and marketing. © 2015 SEOINCH.COM. All Rights Reserved.